The Mall at One Galle Face recently celebrated a project milestone of partnering with their Anchor Tenants with a signing ceremony that introduced the city’s premier luxury lifestyle destination. The signing ceremony was graced by the four Anchor Tenants of The Mall – Odel Plc, Keells Super, Food Studio and PVR Cinemas, along with representatives of Shangri-La Hotels Lanka Ltd., business partners, media and other esteemed guests. The ceremony saw each Anchor tenant being given a golden brick as a symbol of their partnership at Colombo’s premier luxury lifestyle destination. The Mall is a part of One Galle Face – Colombo’s first internationally developed and managed mixed-used development project by Shangri-La group and is scheduled to open its doors to the public during the second quarter of 2019. With its prime oceanfront location and unprecedented scale and quality, this fully integrated development is destined to become the pride of Colombo. The development consists of two residential towers, an office tower, a mall and a hotel. The Residences at One Galle Face promise stunning views from sunrise to sunset as well as lush landscaping, tranquil interiors and an exclusive residents club. The Offices at One Galle Face offer 600,000 square feetof premium office space and world-class facilities in the centre of Colombo. Shangri-La Hotel Colombo is a prestigious addition to the five-star hotels in the city and offers guests the legendary hospitality and warmth of the world-renowned Shangri-La Group. Currently, close to 70% of The Residences have been sold whilst more than half of the retail space at The Mall has already been leased out and The Offices have recently been opened for leasing. The Mall at One Galle Face is the place where life, work and play meet, offering something for everyone. From home-grown brands to international high-street favourites, this contemporary shopping mall and lifestyle destination offers alfresco dining on the rooftop, more than 40 food and beverage outlets, a food hall dedicated for the busy individuals, a street market bazaar, largest indoor playground for the younger visitors and 250 retail stores spanning over 480,000 square feet. The Mall will also introduce several new to market brands such as Chili’s – an American casual dining restaurant chain that features Tex-Mex-style cuisine, Oporto – grilled chicken from Australia, The Toy Store – a renowned toy store from Dubai and designer wear by world renowned brands such as Diesel, Michael Kors, Armani Exchange and Emporio Armani. The state-of-the-art mini cinema complex comprising of nine cinemas, including a dedicated kid’s cinema will also be the first in the country. These cinemas will be operated by one of the giants in the entertainment industry – PVR Cinemas. 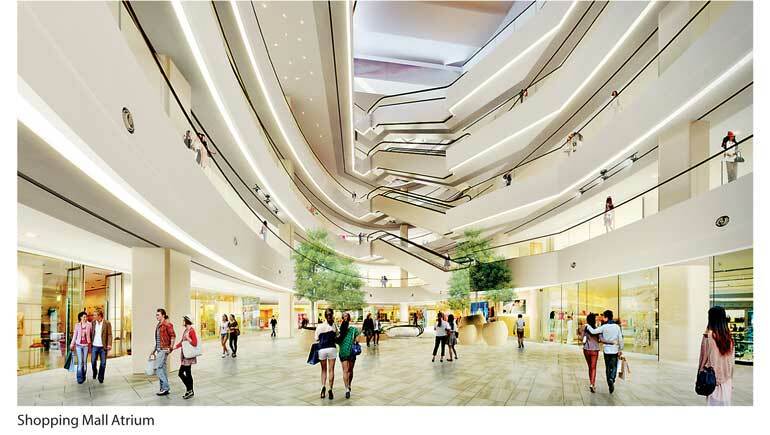 The four Anchor Tenants of the Mall who were felicitated at the signing ceremony are all powerhouses in their own right, offering the best retail and luxury experiences for their customers. Odel PLC is a publicly listed retail company, the first in Sri Lanka and is also the first department store in the country. Odel’s product mix contains more than 1,500 different items, with a majority of those sourced locally. Keells Super is one of the pioneering supermarket chains in the country. Keells Super will be opening their first ever gourmet supermarket at The Mall at One Galle Face, creating a whole new chapter in the supermarket industry in Sri Lanka. Food Studio is a one-of-a-kind international food court concept whose partnership with The Mall at One Galle Face is set to change Colombo’s culinary landscape. Food Studio will introduce Sri Lankans to a new, unique food court concept by offering an array of cuisines, from fine dining to street-style food. PVR Ltd. is the largest and the most premium film exhibition company in India and its partnership with The Mall at One Galle Face will be its first foray into Sri Lanka. The Mall is excited to have PVR operating the largest state-of-the-art cinema complex in Sri Lanka with nine screens under one roof. The Mall at One Galle Face envisions itself as the life and soul of the city, offering a luxury retail paradise and immersing shoppers in a world-class retail offering for the first time in Sri Lanka. 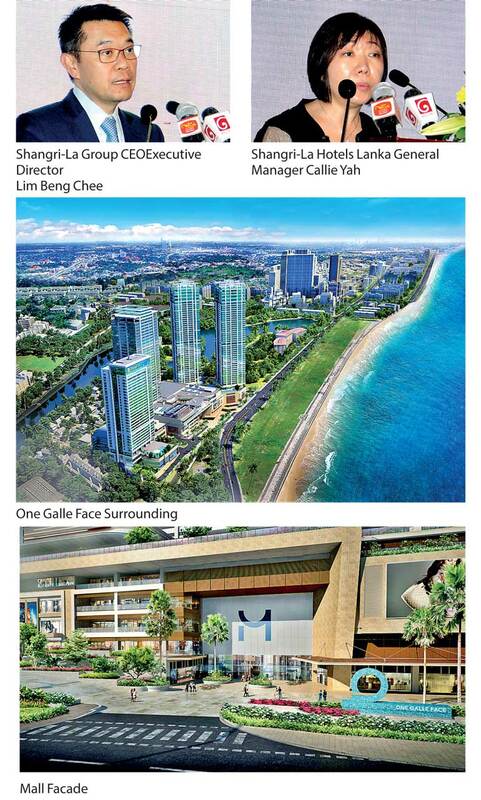 One Galle Face – a prestigious project by Shangri-La Group.